After creating a few tasks, you might realize some of them are connected to similar work. Now you can group them together in a project. 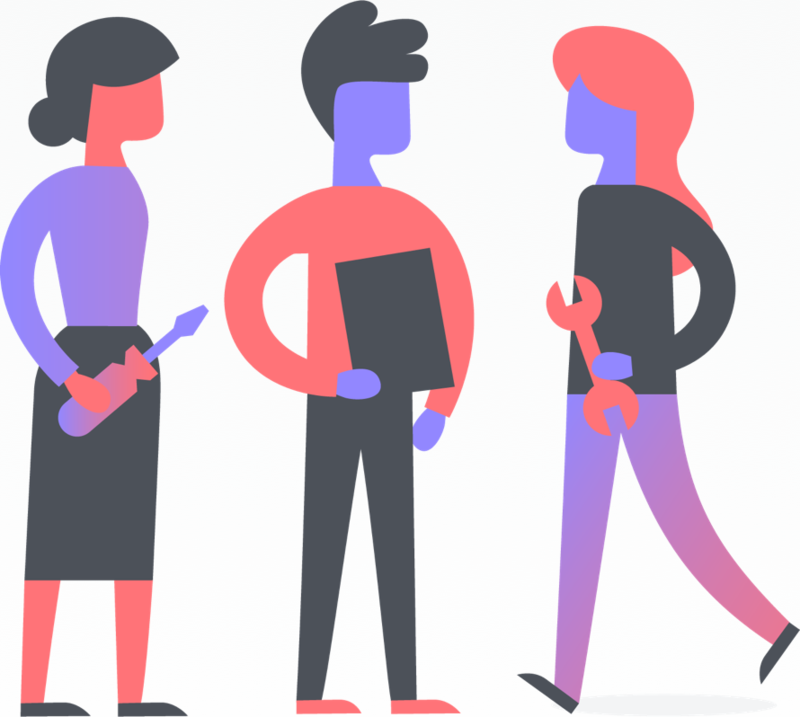 If you are the first person from your organization to use Asana, we recommend inviting two or three teammates who are also stakeholders on a project so you can work on it together in Asana. If your team already uses Asana, explore existing projects by taking a look in the sidebar. Where do projects fit in? Projects live within teams, and store tasks. There are lots of reasons to create a project: to track bigger initiatives that may include multiple stakeholders or complex workflows, to plan and achieve your team’s goals, stick to a deadline, or even to organize your ideas. Get a quick Asana Lesson about projects. Get started with a template and check out our project best practices and tips. If you currently plan and manage projects in spreadsheets, you can use our CSV importer to quickly import your project into Asana. Click the + button in the top bar and select Project. Give your project a descriptive and goal-oriented name, like “Launch website” or “Q2 Customer appreciation event.” Add a description. You could include goals, links to reference materials, or a project overview. Consider teammates who will work on and look at the project, and pick an appropriate team where the project should live. If you need to create a team, you can do so in the + button menu. Next choose between a list or board. A list project is ideal if you’re making a to-do list, or tasks follow a sequential order (like event planning). Board projects (kanban) are like digital sticky notes and great for work that moves through stages, is grouped by distinct categories, or in cases you’d like to have visuals show up (like design requests, grouped by designer). If you have a paid Asana account, you can choose different project privacy settings; otherwise, your project will be public to the team you selected. Start creating tasks for each major milestone or piece of work that will help you complete your project goals. Give each task a due date so deadlines are clear. Just press enter in the List or Board View of a project to add tasks. Next, group your tasks by adding sections (List View) or columns (Board View). You create a section the same way you would a task, but just add a colon at the end of the task name. For columns in board projects, just click Add column. As you start to add tasks, you can use Timeline to see how all of your work fits together, share your plan with teammates, and modify it as you go so you can hit your deadlines. Collaborate better with more teammates and features like Timeline. Get started with a free trial of Asana Premium. 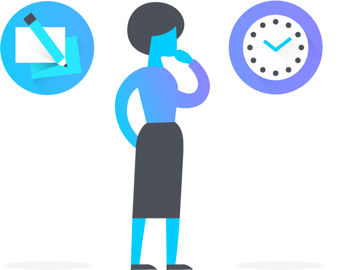 Invite a few stakeholders as project members so you can begin to see who’s doing what by when and track it all in Asana. Project members can receive various levels of notifications on activity in the project depending on how involved they want to be. If you don’t want project members to modify a particular project, you can set the project as comment-only. 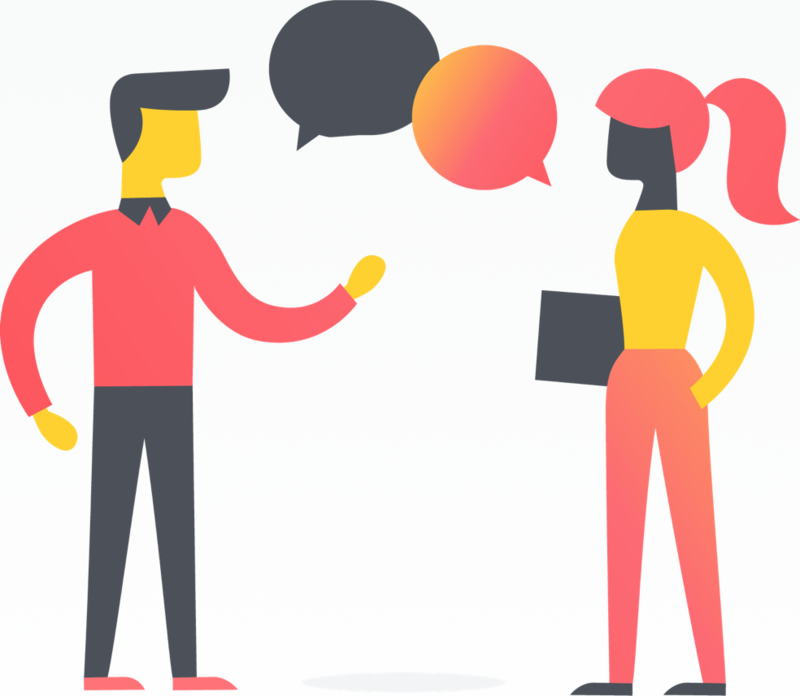 As you start creating projects, you might realize that some comments and questions on tasks (or in general) are valuable for everybody on the project to discuss. You can start a project conversation to generate a discussion amongst teammates. That way, you can avoid convoluted email threads and still get valuable feedback. Projects are a great way to organize your work, and with Progress View, you can post weekly status updates to let your team know how work in the project is going. There’s also a task completion graph that shows the project due date to make sure you’re on track to hit your goal. When the project is complete, you can choose to keep it active, archive, or delete it. We recommend archiving so you can still reference it, but not let it clutter up your projects. 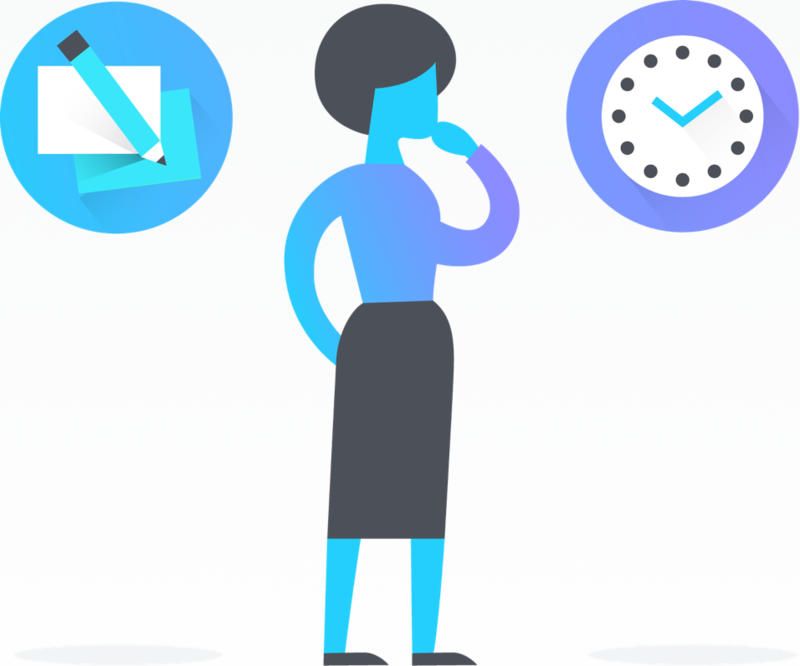 Once you’ve created your first project, you might want to explore other ways to use projects in Asana, like creating custom templates for common workflows. Whether you’re the first person here, or a new user in an existing team, you can learn valuable ways to use Asana. We’ll cover them in more detail as you move through the Guide. Prefer a video? Get started with your first project by following along with our tips in How to Asana. 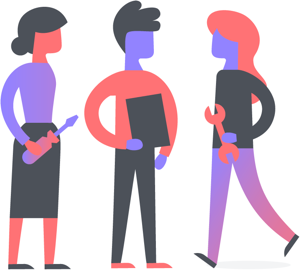 Now that you’ve hit the ground running, invite a few teammates to get going in Asana, or start collaborating with who’s already there. 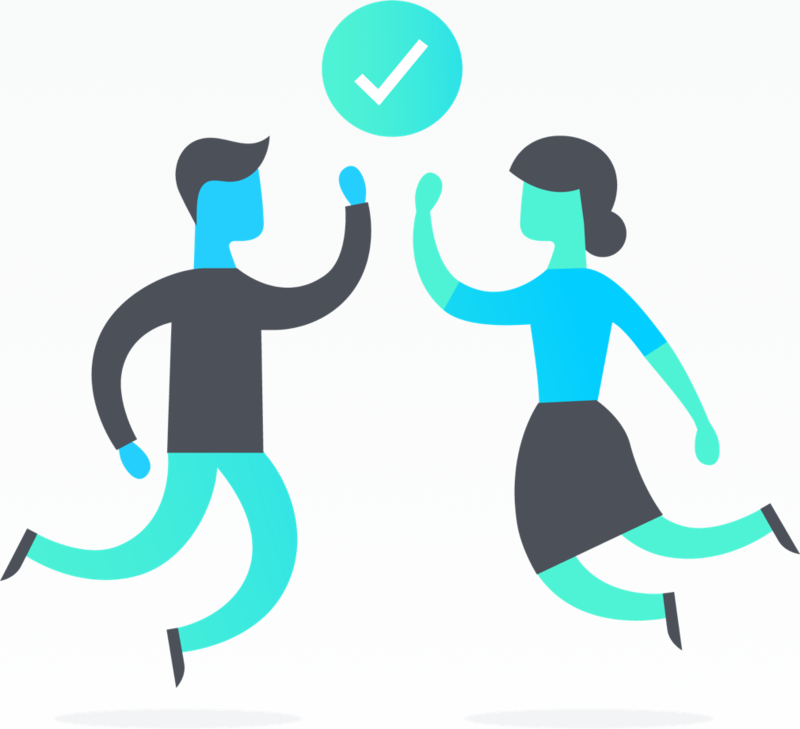 Asana is made for effortless team collaboration. Inviting a few teammates helps you start to see the power.